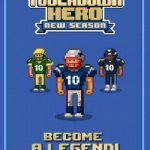 The 2016 NFL season has just kicked off, and Run Games has launched a new Android and iOS game endorsed by the NFL Players Association, called Football Heroes PRO 2017. This is the latest installment in the company’s series of arcade-style American football games, and while this title should appeal to the more casual football gamer, the NFLPA license means that you get real-life players included, over 2,000 of them available to draft, with the 2016 rookies included. However, all the teams in the game are fictional, but even if you take that into account, the game is still loaded with features and game modes. 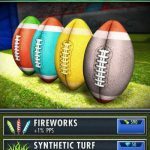 By catching passes, rushing the ball, scoring touchdowns, and making tackles, you can make your players better, and you can also log in daily to get freebies that could also help in the improvement of your team. 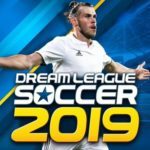 Aside from those features, you have the option to build your own team, or switch to another as you experiment on different lineups and tactics, and you can take on players from different parts of the world in the available online leagues. Despite the arcade-style gameplay, this is truly an intensive NFL gaming experience, so if you need some help winning games or managing your lineup, we suggest reading our Football Heroes PRO 2017 strategy guide. We’re only going to be talking basic tips here, but if you’re new to the game, you can definitely use them to your advantage. You should keep an eye out for the orange flashes that appear around defenders. If they flash orange, that means they’re getting ready to tackle you. So how can you avoid getting tackled and, in most cases, losing yards? You’ll have to go back to the tutorial part of the game and swipe the screen to perform a spin move, thereby avoiding the tackle. You don’t need to worry about the defender getting you as you spin, as you will be invincible to tackles while you’re spinning. Defense isn’t a glamorous job, but it can arguably be more important than offense, whether you’re talking about a real-life football game or a game of Football Heroes PRO 2017. And in this game, you can deal with offensive players by shoving or tackling them, using a tap for the former and a swipe for the latter. Since it’s always faster to tap than to swipe, we would recommend going for a shove if you’re playing defense. Tackling, aside from being harder to pull off, is quite dangerous in this game. Sure, you can take out an offensive player with a single tackle, but that’s only if you connect. If you don’t, your defensive player will be the one who gets knocked out, and as he will be down on the field for a few seconds, the offense could take advantage of that quite easily and get a first down, if not a touchdown. Summing it all up, it’s safer and more effective to shove than to tackle, unless you’ve got a clear shot at the latter move. Another important aspect of playing defense is sacking, or taking down the quarterback, which results in your opponent losing yards and getting pushed back on the field. And in this game, you can take advantage of the passing mechanic to sack the opposing QB easily. Once again, just like in the last version of Football Heroes PRO, opposing quarterbacks will take about a couple seconds to pass, and somehow, they aren’t protected too well by their offensive line, leaving you a good opportunity to sneak in and drop the QB. Take advantage of the poor offensive line AI and go for the sack, though keep in mind that the QB could also pass the ball to a running back. And you know how it is in real life – if a defense is guarding against the pass but the offense goes for the run instead, that could lead to some big gains, and in some cases, touchdowns. You know what we tell you about computer AI in mobile games, that it often isn’t the smartest AI in the world, typically going for the most basic, obvious strategies available? 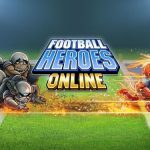 That appears to be the case in Football Heroes PRO 2017, so you’ll have to switch regularly from one player to another. Unfortunately, AI-controlled players aren’t too skilled when it comes to shoving, and they aren’t too intuitive either when it comes to special teams plays, to cite another example. For example, if you’re kicking, you might have to switch to another player so that you can deal with the defenders that are closing in on your return specialist. The bottom line with this tip is that it pays to be as hands-on as possible when controlling your players. Don’t sit back and let the AI do all the dirty work, because you can’t put your faith in computer-controlled players who only stick to the basics. Want to earn more in-game money? Football Heroes PRO 2017 offers you an easy way to do this, or should we say a convenient one, if not 100 percent easy. You can take advantage of the coin battle feature, betting a given amount of coins prior to a regular game. Naturally, you can earn more coins if you bet a larger number of coins and end up winning, and if you lose the game, you’ll lose the money you bet. So if you’ve got a formidable win-loss record, you might want to give this a try to earn more coins. The game’s features include the ability to let the computer AI coach your team and call all the plays. And while Run Games does try to make the feature look useful, you’ll actually be better off doing the coaching yourself for the most part. That also applies to the coin battles; with in-game currency on the line, it’s better that you’re on top of the action and not leaving your fate – and your coins – in the hands of an AI that is often simplistic.